Moving is never easy. But, office relocation always presents more challenges than a home move. From the office chairs, desks, and endless amount of office supplies, there is a lot to pack up. Not to mention that there are employees that you need to organize and help settle in. And usually, there’s not much time to get it all done. Office relocation is a lot of work, regardless of the size of your company. So, to manage this process as smoothly as possible follow these tips. Office relocation is very complex, and the only way to pull it off is to prepare in advance. 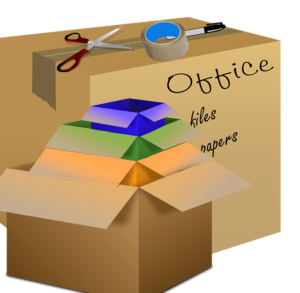 There are many tasks that you need to do before even thinking about office relocation. However, a good moving strategy will help you immensely. Once you make a plan and create a timeline, everything will slowly fall in its place. Little things add up fast, and you will be ready before you know it. Also, find out when is the best moving season that makes that super easy relocation possible. A good plan s a key to successful office relocation. Do you really need a moving strategy? If you want to avoid moving mistakes, the answer is yes. A good plan means that you have to take everything into consideration. Start on time. Get a notebook or download an app that can help you and start from there. Write down every single detail. And be careful, forgetting isn’t an option when preparing office relocation. Because forgetting little things is a recipe for making common moving mistakes. Once you make a moving strategy, you should stick to it. Use your calendar and try to complete your tasks one by one. Never postpone any of them. If you do, your office relocation will last much longer than you expected. So, once you schedule your time, stick to your plan. Notify your service providers about your move, and cancel services that you won’t use anymore on time. Moving mistakes can cost you a lot of time and energy. Office relocation must be quick and efficient. That is if you don’t want to interrupt production. Time is not your friend when moving, but making sudden moves can cost you a lot. One of the things that you can do in order to avoid making moving mistakes is to hire moving experts. Why? Well, because office movers can help you relocate with ease and mistake free. The next step is to collect all available information about the new space. Try to get blueprints or a floor layout so you can identify key components. Such as electrical outlets and storage space. And start designing the new office layout. It is also a good idea to have a general layout plan for your current space so you can compare the two. 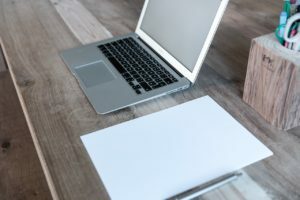 If there are areas in the current office that are not working, identify them now so you can avoid the same problems in your new space. Also, you can make a list of potential problems with the new space. Such as a smaller reception area or less storage capacity, or perhaps a larger open space that requires more cubicles or temporary walls. It may be necessary to hire carpenters, painters, electricians or other professionals to make some changes before you move in. Gather information about the new space and start designing the new office layout. For medium to large offices, appoint someone from each department or division to coordinate their particular area. 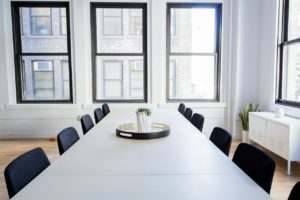 You may assign the department supervisor or manager to ensure that each employee takes responsibility for packing their desk, files, and personal items. Every single person in your office should be a part of your relocation project. That is the main reason why every individual should get a task assigned to them. Even the smallest things matter. So, ask for some help, and your employees won’t disappoint you. Your team can also assist in identifying current issues with the old space and finding possible solutions for the new office. This is a great way to incorporate other viewpoints and to achieve consensus on the move. Especially if some employees are not supportive of the change. Office relocation is a complicated process. And the bigger the office, the more complex things will get. And the only people who can help you with this are moving experts. But, if you decide to look for professional movers in other places, make sure you know what you are doing. Hiring wrong people can make you big problems. Such as losing your belongings or getting scammed. Check out the tips on avoiding moving scams. The only way to prevent this from ever happening is by hiring people you know you can trust. It’s important to make sure the company is reliable and that you are receiving the best service for the cost. Do your research, ask the right questions, and have the company come to your office to assess your move. See the article about how to find cheap but reliable movers. Labeling your boxes is important in all moves, but especially when it comes to office relocation. To keep operations running during and after the move carefully label every single box. For maximum efficiency, label each box with a location and a number. Also, keep the list with each box number and the items that are inside of it. It’s a bit more work, but it will save you a ton of time when you’re getting settled in your new location. Also, it will be easy for everyone to access. Labeling boxes will make the office relocation process easier. 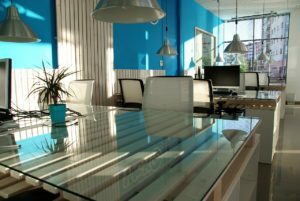 Office relocation is stressful for everyone, including your employees. Hopefully, these tips will help you move with ease. And even more importantly – fast. You don’t want your clients and your employees to feel any difference. And you should do everything that is in your power to make your office relocation efficient.